Machine quilting is kind of fun. It’s one of the last steps (besides that binding!) to a finished quilt or project. It can be a bit tricky when you hit spots on your quilt that has applique or embroidery— what do you do? You can avoid the areas…if your applique is larger than 4″ I would recommend putting a few quilting stitches in there somewhere to secure it. An echo quilting pattern works great….that’s when you stitch around the objects and avoid them. With stitching– you can run right over them. Really the choice is yours and if you have some leftover quilt blocks that have a bit of applique or stitching, you could try it out and see what kind of option you like the best. 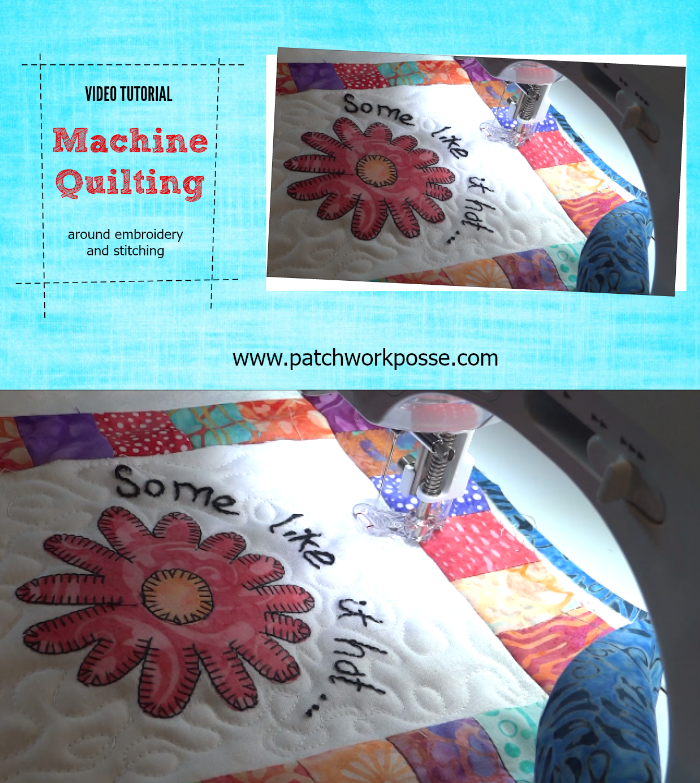 Are you using your standard machine for quilting? Here are some helpful hints and tips. How to echo machine quilting tips. Machine quilting with a walking foot— simple and quick for baby quilts! 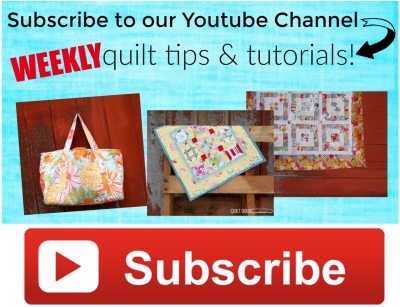 Do you have a favorite way of machine quilting around embroidery and applique?